As Minnesota’s economy continues to expand, there is strong demand for highly skilled construction workers. This need is especially true as construction industry observers look into the future and point to the large number of Baby Boomers and Gen Xers working in Minnesota’s construction industry who will retire in the years to come. Rising to meet this need is Apprenticeship Minnesota, a program within the Minnesota Department of Labor and Industry that oversees registered apprenticeship programs offered in the manufacturing, healthcare, information technology, transportation and construction industries throughout the state. Apprenticeship Minnesota works with employers such as trade unions and construction companies to develop and promote apprenticeship programs that train workers for lifetime careers as electricians, plumbers, pipefitters, brickmasons, diesel mechanics and more. The value of having a trained workforce can’t be underestimated. To build the structures that Minnesota needs to grow and thrive – hospitals, schools, factories, bridges, roads, office buildings, warehouses, airports, hotels, power plants, stores and restaurants, and more – Minnesota needs a large and deep pool of skilled workers. Registered apprenticeships are offered in 303 trades and can range in length from one to five years with a minimum of 144 hours of technical instruction (classroom) and 50 hours of safety training. All apprenticeship programs listed on the Apprenticeship Minnesota website are registered and accredited with the State of Minnesota and meet both state and federal standards. These rigorous standards allow apprenticeship graduates to find work in all 50 states. To employers, completing an apprenticeship program is a credential – similar to obtaining a person’s undergraduate college degree – that a person has put in a certain number of hours studying a specific skill. On top of completing an apprenticeship, some professions (electricians, plumbers, pipefitters, etc.) require a person to take an exam to receive a license to practice their trade as a professional in Minnesota. Though apprenticeship programs are rigorous, they offer anything but the typical method of learning. In contrast to the typical classroom setting where the transfer of knowledge from senior people to newcomers is very systematic, each program has its own process of training mentors and teaching apprentices. Taught by skilled workers who are masters of the profession, apprenticeship programs establish a mentorship between those journeyworkers and apprentices who work side by side to learn a craft. Each year, during the second week of November, Apprenticeship Minnesota celebrates National Apprenticeship Week with information sessions held across the entire state that showcase registered apprenticeship programs, especially providing information high school students. 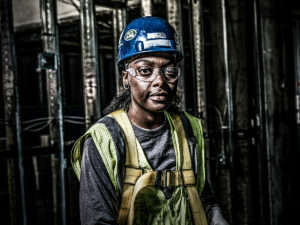 If you’re wondering if an apprenticeship program might be the right choice for you after high school, visit ConstructionCareers.org. It’s a website developed for high school students, their parents, and Minnesota educators to help students better understand if a career in construction is the right choice for them. To gather specific information about available apprenticeship programs available in Minnesota, visit Apprenticeship Minnesota at https://www.dli.mn.gov/business/workforce/apprenticeship.